Fans of "Fearless Girl" can now buy a 2-foot reproduction. 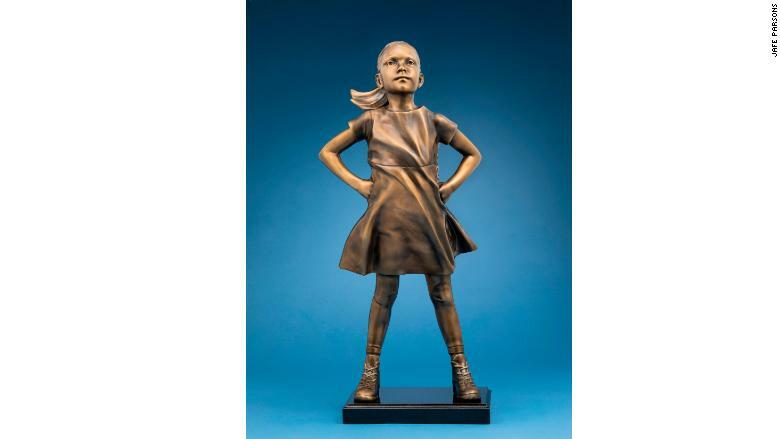 Kristen Visbal, who sculpted the popular statue, is selling about 1,000 of them for $6,500 apiece — in bronze, just like the original near Wall Street. They went on sale Monday, and Visbal says she's already sold more than 40. "I've heard your requests for reproductions," Visbal wrote on the website selling the reproductions. "My hope is that your limited edition bronze will serve as a symbol of empowerment." She says 20% of the proceeds will go to charities that support women and gender equality. Fans can also buy a signed print of a black-and-white photo taken by Federica Valabrega, showing "Fearless Girl" staring down Wall Street's charging bull statue for up to $5,000. The 22-inch statues are based on a 3D scan of the original, and are mounted on a black granite base an inch and a half high. Visbal tells CNNMoney that orders have come in from around the country. She says she's considering selling smaller, more affordable reproductions later. She also says she hopes to sell children's books one day featuring a "Fearless Girl" character. The original "Fearless Girl" appeared opposite the bull in March 2017, ahead of International Women's Day. The statue was commissioned by State Street (STT) Global Advisors as part of the asset management company's campaign to put more women on corporate boards. The statue captured the hearts of New Yorkers and tourists. People dressed her up and flocked to her side to snap photos. Tens of thousands signed a petition to make her permanent. The mayor's office quickly extended the statue's permit from a few days to a month to a year, giving the statue a place across the bull until March 8 of this year. 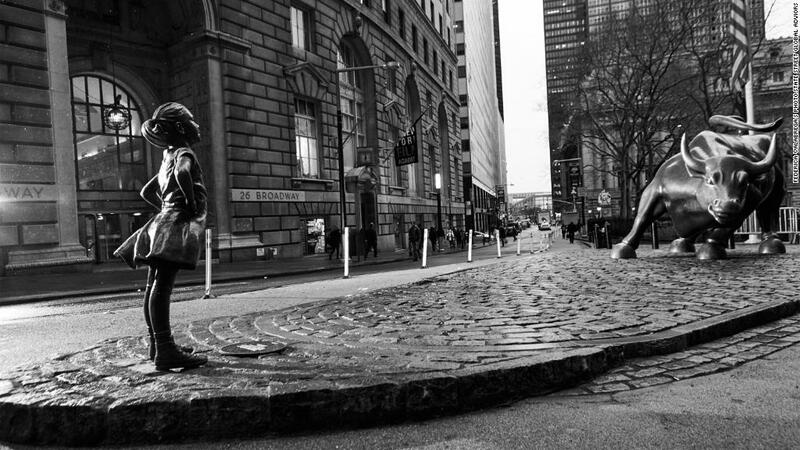 That deadline has come and gone, and "Fearless Girl" is still in place. But her future is uncertain. The city hasn't said whether the statue will become permanent. A spokesperson for Mayor Bill de Blasio has said the city is "discussing various approaches to ensure this statue continues to be a part of the city's civic life." State Street said earlier this month that it is working with the mayor's office to figure out a way to make "Fearless Girl" permanent. The financial firm is not involved in selling the reproductions, Visbal says.